MIPTV: Chinese VoD platform iQiyi has renewed its glossy US-style crime drama Burning Ice for a second season, with a distributor now attached for EMEA and North America. The 12-part first season of the show is based on author Zijin Chen’s 2016 novel The Untouched Crime (aka Crime Without Trace). It follows a dishonored cop searching for a serial killer in Harbin, China, and debuted on iQiyi in mainland China in September 2017. Chen has written two further novels – titled Bad Boy and The Long Night – in a trilogy that features the same detective character. iQiyi has rights to all the books by the author. 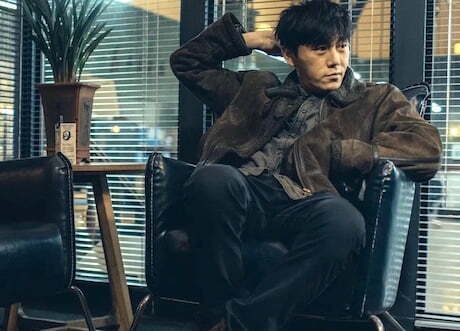 With the commission for the second season of Burning Ice, iQiyi said the plan is to build an anthology franchise around the same detective character from the first season. Development is already underway on the second season, with production scheduled for later in 2018. Burning Ice was produced by veteran filmmaker Han Sanping (The Karate Kid, Mission Impossible 3), often referred to as the Godfather of Chinese film, and stars arthouse movie regular Qin Hao. The show has been watched more than 500 million times since it was first added to iQiyi. The show has been acquired by Netflix for Australia and Asia Pacific (excluding China, Korea, Hong Kong and Japan), while rights in EMEA and North America are being handled by Sansang Media of China. Distribution in other markets will be handled by iQiyi. Burning Ice marks the first steps into the US or UK style of premium drama production for iQiyi, moving away from the long period epics that China has hitherto been known for in favour of the shorter, edgier storytelling format. The company is beefing up its drama production efforts this year and has tapped LA-based content strategist Jeremiah McMillan to help evolve its drama to make it more internationally appealing. It has previously announced plans to launch around 80 dramas in 2018, including Tientsin Mystic 2. The first season of the 1930s drama launched last July and by the end of November had been viewed nearly two billion times on iQiyi. Tientsin Mystic has also sold to TVB in Hong Kong and Macau, Astro in Malaysia and StarHub in Singapore, as well as Netflix for certain markets. Also in the pipeline for the international market are iQiyi’s youth romance My Huckleberry Friends and My Classmate From Far Far Away, produced by famed Chinese director and actress Xu Jinglei. There is also Sword Dynasty, a costume drama from Feng Xiaogang, one of China’s best-known film directors.